This section is a guide covering our rules, regulations, and policies. Policies, by nature, are constantly under review as they are affected by changes in applicable law, regulations, economic conditions and the way the Company does business. The Company therefore reserves the right to change provisions of this guidebook with or without notice at any time. 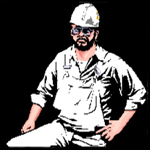 In accordance with the Drug-Free workplace Act of 1988, Industrial Painter .com hereby notifies all employees that the unlawful manufacture, distribution, dispensing, possession or use of a controlled substance is prohibited in all workplace locations and on company property including vehicles. An employee who is convicted of a criminal drug statute violation occurring in the workplace must notify his/her Supervisor no later than five days after the conviction. We do not allow any employee to come to work under the influence of alcoholic beverages or drugs. We do not allow any employee to drink or use drugs while at work including on breaks, lunch or otherwise. We do not allow any employee to be in possession of alcoholic beverages or unlawful controlled substances while on company property, in company vehicles or on company job sites. The employee may be asked to re-do his work on his own time and pay costs for any materials used. The work may be re-done by another employee and the associated costs be deducted from the paycheck of the employee that performed the bad workmanship. Absolutely no material or labor is to be given away. Only management has the authority to give anything away. All give-awes must be documented in the written form and signed by the Authorizer. Employees will not solicit money, membership contributions or other donations from work, employees, or the public during working hours, in work areas, in the office or parking lot for any reason. Employees are not authorized to distribute written or printed matter of any kind on Company premises. Posting or removing notices, signs, or writing of any form on bulletin boards or on any Company property without specific approval from Management is prohibited. Engaging in gambling or betting while on Company property during working hours is prohibited. As an employee at Industrial Painter .com, you are expected to respect and use the utmost care with the possessions and property of others. Willful neglect, damage, destruction, defacing, misuse, or sabotage of client, Company or employee property or records is prohibited. Possession of, or use of firearms, concealed knives, or any kind of weapons, while on Company premises or job sites is absolutely prohibited. No employee shall take the property or money of another employee, person, or the company. Theft or misappropriation is a serious offense and will result in immediate dismissal and criminal charges if necessary, under the explicit discretion of the Company. Theft increases insurance rates and company costs. With these increased costs, the company cannot be as competitive; therefore we cannot win as much work. Theft affects the company and your continued employment. How often have you seen a fellow employee take home paint, brush or two, or other company owned supplies or equipment? Small items you say? Taken individually, you are right. But when you add these small thefts together, and add the time lost when supplies run out unexpectedly, the bill is in the thousands. In fact these small thefts usually cost more than the big thefts -and they're usually not covered by insurance. Because this is an on-going problem we have taken measures against theft and vandalism. IF YOU ARE CAUGHT STEALING, YOU WILL BE TERMINATED AT ONCE AND REPORTED TO THE POLICE FOR PROSECUTION. In addition, anyone proven to have knowledge of a theft or vandalism and failing to report it will be dismissed immediately. THIS IS A SERIOUS MATTER. Remember, this is a common problem. If your buddy steals from us, he'll steal from you. Do not take anything from the company or job sites that you did not bring with you without expressed Management permission. Distracting the attention of others by unnecessary demonstrations of any kind while on Company time is prohibited. Mischief, wrestling, pushing, throwing items and roughhousing is dangerous to all. Notices of company-wide interest and significance that should be brought to your attention on a continuing basis or for some designated period of time, will be placed on the bulletin board which is on the internet. Check this regularly. It is your responsibility to be knowledgeable and adhere to policies and procedures stated in all notices posted on the bulletin board. The Office Supervisor must specifically review and approve all materials posted on the bulletin board with no exceptions.